Special forces from Chechnya constituted a key part of the troops which conducted combat training at Franz Josef Land. Soldiers from the Russian National Guard were on 12th April parachuted onto the show-covered stretches of the Arctic archipelago. They subsequently engaged in the training scenario: to hunt down and eliminate a group of bandits. It was the first ever exercise of the kind and it was conducted in cooperation with units from the FSB Border Guard Service and the Russian Armed Forces, the National Guard informs. It followed drills conducted last week in Murmansk. Special forces from Chechnya played a central role and the republican flag waved in the wind as National Guard leader Viktor Zolotov later in the day greeted the troops. «The training conducted under special geographical and climactic conditions allows us to try out new forms of military action, harmonize management systems and to test perspective kinds of military equipment and armament», Zolotkov says in a press release. «Without doubt, the experience acquired by the troops will be used to prepare other units», he underlines. A crucial element in the training is to coordinate action with the FSB border guards, the National Guard leader maintains. It was all conducted near Nagurskoye, the new Russian military base in Franz Josef Land. The Nagurskoye base includes a brand new 14,000 square meters military complex which can provide year-round living and working conditions for up to 150 soldiers. Close by is the upgraded military airport. 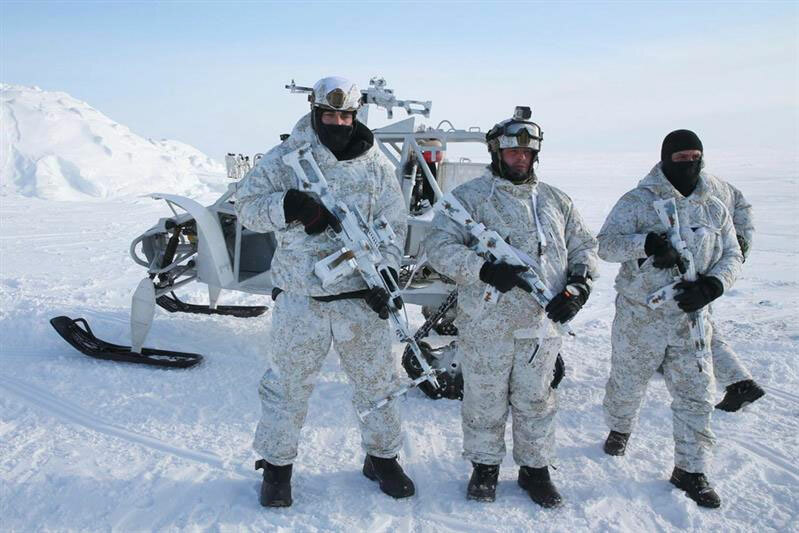 The special-purpose forces were equipped with special gear designed for polar conditions. But most importantly, the soldiers and service personnel showed their very high level of military proficiency, the National Guard press service says. On site were several distinguished guests, among them Murmansk Governor Marina Kovtun. «The soldiers displayed the highest level of professional preparedness, bravery and capacity», Kovtun highlights in a tweet from site. In the area was also Arkhangelsk Governor Igor Orlov. According to the Ministry of Natural Resources, Orlov on Friday visited the Russian Arctic national park along with Marina Kovtun and Viktor Zolotov. As part of the program, the guests paid a visit to a museum exhibition which displays the development of the Franz Josef Land and the Novaya Zemlya and were briefed on research activities in the area. The Russian National Guard is a military force directly subjected to the Russian President. It was was established in 2016 as part of a major reshuffle of Russian law-enforcement authorities. The powerful body includes about 300,000 officers and is headed by Viktor Zolotov, the former leader of the president’s security service. Both contract and conscript troops, and possibly also cossack forces, are part of the structure.